The most wonderful time of the year is almost here! And as the Yuletide season draws near, people – including your customers and employees – will be in a festive mood and will want to experience the holidays everywhere they go. It is, therefore, time for your commercial office space or store to get that look and feel that embraces the holiday spirit. Holiday office decorations are a strategic and necessary expenditure for a commercial business entity. A beautifully and professionally designed holiday atmosphere can cheer up the ambience and attract attention to your company. This can positively impact your business as it can significantly increase the foot traffic that your establishment can generate during this special time of the year. So take advantage of the holiday season by bringing your commercial space to life with our expert designs and beautiful decorations at Inside Plants. For many years, Inside Plants has been providing interior plant decorating services, primarily featuring live plants and planters, for hundreds of commercial clients. As the holiday season approaches, we help commercial establishments with interior holiday decorating. We pride ourselves with our comprehensive and custom packages that not only includes design and conceptualization, fabrication and installation but also includes maintenance (especially for the live indoor plants and planters) and removal. Make this holiday season bright and festive for your business. Whether you prefer it classic or modern, simple or elaborate, you can always rely on Inside Plants for all of your indoor holiday office decoration needs. We are a full-service company specializing in interior plant decorating services that features a variety of live and festive indoor plants and flowers that will cheer up any workplace. We also have rent-able pre-decorated holiday trees, wreaths, garlands and other holiday decor and accessories that are perfect to deck the halls of your commercial office, store, or building. If you have a vision in mind, our team of talented holiday designers and consultants will help you bring that idea and concept into reality. Or, if you have not thought of a design yet for your office holiday display, our talented and experienced design professionals can instead suggest ideas to bring the holiday cheer into your commercial office interiors. They can create a custom-made design layout and transform your corporate lobbies, reception areas, warehouses, and office spaces into wonderful holiday shapes that meet your needs and fit your budget. Business Offices. 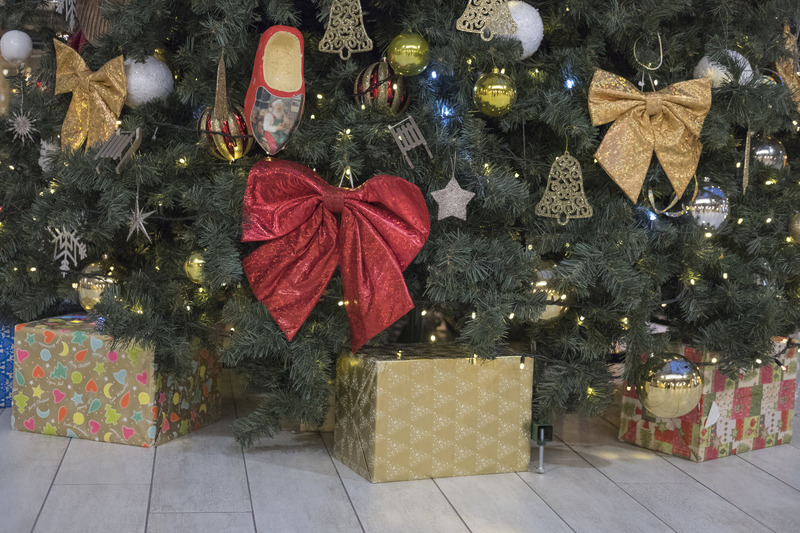 Feel the pull and magic of the season with indoor holiday decorations for your business. Or make your office parties even more joyous with a beautiful set up from our team. Hotels, Resorts and Casinos. Set the mood for your guests and visitors with some festive indoor holiday decorations for your lobbies, hallways, function halls, and guest rooms. Medical Clinics and Hospitals. Make your recuperating patients and your hardworking medical staff feel relaxed and at home with lively holiday decorations adorning the hallways and rooms. 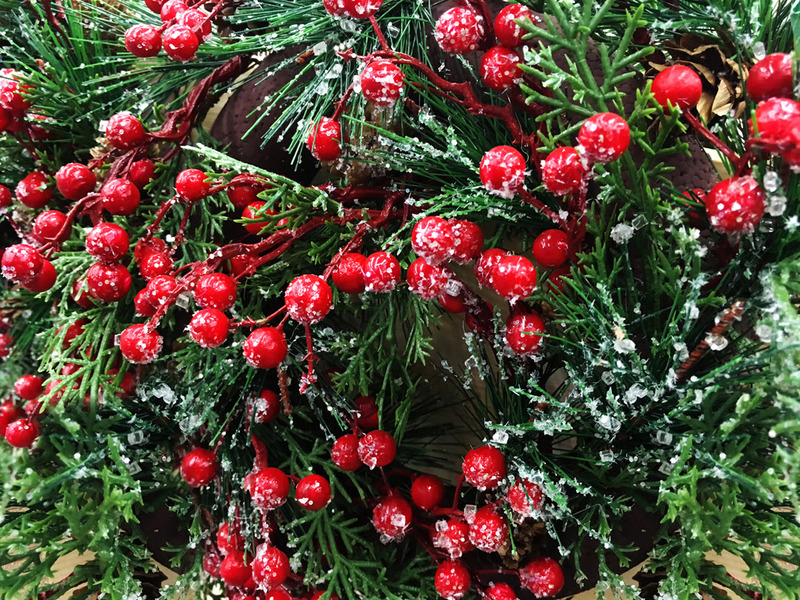 We can install stunning Christmas trees, gorgeous wreaths and lovely live indoor plants. Diners or Restaurants. Complement your holiday menu with a Yuletide-themed ambiance that is sure to entice more customers, courtesy of our holiday decorating services. Conference Centers and Function Halls. Accommodate a variety of holiday celebrations or conventions while giving a nod to the season with a series of holiday decors around the venue. Banks, Warehouses, and Retail Centers. Spruce up your interiors with our holiday decorating services and bring in some holiday joy with a pre-decorated holiday tree, wreaths, garlands and live plants or flowers – no flower says Christmas like the beautiful poinsettia! Museums and Concert Halls. Celebrate the holidays with your exhibiting artists, performers, guests, clients and art enthusiasts with inviting indoor holiday decorations, that captures the essence of the season, at your entertainment venue. Decorating your commercial office space for the holiday season can be a lot of work. You have to come up with a holiday design for the office, purchase the tree and decorations, and then decorate the whole floor or building. But that is not all, you will have to take down the tree and decorations after the holidays too! Allow Inside Plants to simplify your holiday decorating and take all that worry and stress away. Let our team of highly-trained professionals do all that work for you, so you can simply focus on running your business and enjoying the holiday season. All of our holiday displays Inside Plants are custom-built, specifically designed for your commercial space and per your requirements and budget. At Inside Plants, you do not just get a quality and festive arrangement – that can either be purchased or rented – you also get great customer service from us. As part of our holiday decorating services, Inside Plants will manage every aspect of your office indoor holiday display. From conceptualizing your holiday theme to choosing your decorations (Christmas trees, wreaths, garlands, live plants and planters, and many more other elements and accessories); from installing the decors to taking them down (even maintaining the live plants that we have provided as part of the installation) – WE CAN DO IT ALL FOR YOU! From small commercial offices to multi-million dollar workspaces, Inside Plants can customize a holiday display that works. From design conceptualization to installation logistics, from maintenance to dismantling – you can count on us to help you usher in the holiday season with a professional setup piece. Visit our PHOTO GALLERY to view samples of our recent work. Holiday season decorations for your business not only brighten your workspace but keeps your clients and employees in a festive cheerful mood. Consult our helpful experts at Inside Plants, we will be more than happy to work with you and your budget in transforming your commercial space into a holiday wonderland. Contact us today!